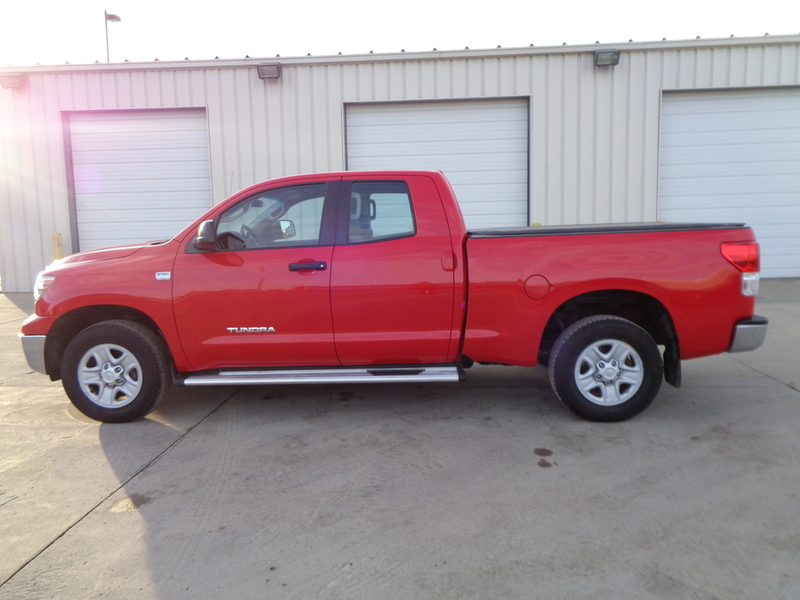 Come check out this 2010 Toyota Tundra SR5 Double cab with 4WD at AutoDrive Inc!!! This 4.6 Liter V8 has 131,955 miles on it. It has gray cloth interior with front and rear bench seats. It has power locks and power windows, CD player, auxiliary input, MP3 player, dual climate control, and floor mats. This truck also has a tonneau cover, bedliner, running boards, tow hitch, and tow hooks. The towing capacity of this truck is 4,800 to 10,800 lbs, it has about 236 horsepower at 5,200 rpm, and It gets about 12 mpg city and 19 mpg highway. This Tundra is in beautiful shape, drives excellent. One owner unit and it has been in Iowa its whole life. Toyota is a very well known manufacturer for making their vehicles well and lasting a long time. So the 131,955 miles is nothing compared to the longevity of this unit. According to the CarFax, it is a one owner unit. there were 2 front-end accidents reported but very minor cosmetic damage which can include minor scratches or dents and airbags are still intact. Also it seems that everything has been inspected by a mechanic and nothing went wrong from the collisions. And as shown in the pictures, it does not have current noticeable damage to the front end or the rest of the vehicle.